Leaders who are truly effective are qualified, not by credentials or accomplishments, but by their character. Simply put, leadership is the ability to influence others. Ironically, however, the ability to influence others, either in an organization or in the political arena, ultimately doesn’t depend on an individual’s title or position of authority. In fact, those in positions of “authority” often confuse their ability to inflict their will on others (where authorized by their position or title) as a “right” of leadership. This is frequently the case with new managers and those whose motivation for leadership is based on a desire for authority in the form of personal control and power. These authoritarian relationships may command respect in a superficial sense, but are void of trust and respect. They are based solely on fear rather than empowerment and personal ownership, and offer no provision for alignment of ideas or ideals. In this self-centric mindset, the emphasis on success is internal. The success of both subordinate individuals and the team is viewed by the manager as being dependent upon his or her personal success. These managers tend to believe that in order to validate their own value to the organization they must make themselves essential to the success of the team. I see this in teams that are largely dysfunctional when the leader is absent. Decisions cannot be made without the manager’s consent. Personal ownership and accountability is stifled and autonomy is restricted. There is little or no basis of trust in the competence and discretion of the team members. This type of manager hordes power, controls rather than leads, and lacks the self confidence to allow subordinates or the entire team to excel in his absence. They make the success of their team completely dependent upon their presence and participation. I believe that just the opposite is true of superior leaders – that the true measure of success for a leader is not how necessary he is to the team, but in fact how unnecessary he is. This might sound radical or counter-intuitive, but if a leader has truly done his job, the people who work for him should be able to function autonomously for an extended period of time without the necessity of his direct supervision. They should all be aligned both individually and collectively with the organizational vision and goals. They should each have a strong sense of personal ownership and accountability, both to their leader and to each other. They should exhibit integrity and self-discipline. They should be enthusiastic and self-motivated. And finally, they should have a balanced sense of selflessness (teamwork) and drive for personal achievement. This is the very essence of a high performing team, and the best managers and strongest leaders, in effect, actually make themselves less and less integral as their teams become more and more self-sufficient. The ability to influence others is a powerful and awesome responsibility. Effective, superior leadership, under which individual and team performance is developed and cultivated to its highest potential, requires uncommon, illusive, and perhaps innate personal qualities. It requires confidence and vision with a strong sense of purpose. It requires courage, discipline, and dedication to the development of others. 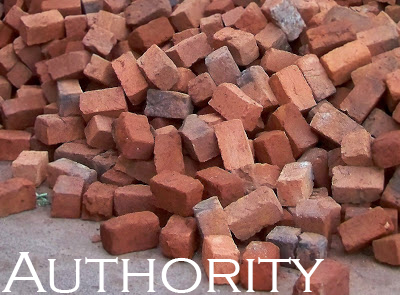 It requires authority without authoritarianism. Superior leaders nurture cooperation instead of mandating compliance. They build consensus and create a culture of alignment in which every member shares in the ownership and accountability. To say that customer service is virtually non-existent today would be a comical understatement. It seems everywhere we turn the quality of service we receive is inconsistent at best, from the waiters and sales people who ignore us to business managers who view us as interruptions. I believe the root of the problem is not so much one of employee indifference; this is merely a symptom of the problem rather than the problem itself. The real problem is a systematic failure on the part of companies and their managers to see beyond the transaction, make decisions based on intellect verses emotion, and empower their employees to be an advocate for the customer rather than ‘defender’ of the company. Most people, if they are at all engaged in their job, want to do well. Likewise, all companies want to be successful, and understand the value and necessity of happy customers. So, where is the disconnect? I believe it’s with the middle and lower level leadership. It’s not much of a stretch to conclude that employee attitudes toward customers are a reflection of the culture created by management within the store, restaurant, or department. I suppose there are a myriad of reasons, everything ranging from indifference and ignorance to a misguided notion of protecting the financial bottom line. Just last week my wife asked to speak with the general manager of our dealership over a mechanical problem with our year old car that the staff was unwilling to rectify. His response after listening to her complaint was to accuse her of being confrontational. It is no wonder his staff was so unhelpful. Below I’ve attempted to summarize service excellence in five fundamental principles. Perhaps I’ve oversimplified it, but I don’t think so. In fact, isn’t that the point? Superior customer service really isn’t all that complicated or expensive. Everyone should try it. These two words should be removed from our vocabulary. Meeting (not to mention exceeding) a customer’s expectations should be a matter of principle. Make decisions with enthusiasm, not reluctance, demonstrating a spirit of genuine appreciation instead of concession. Be the customer’s advocate in every interaction. Customers should see us as their personal partner, not simply a representative of the company, and certainly never an adversary. It is our job to get to ‘yes’. Regardless of the situation, every satisfied customer reflects a personal success, and every disappointed customer reflects a personal failure. We get far too wrapped up in our perceived sense of what is ‘right’ or ‘just’ when making service related decisions. Any costs incurred in delighting a customer are literally insignificant compared to the goodwill and future business we gain. Whether or not we feel they deserve it is irrelevant. Customer service is not a battle to be won or lost, nor is it an affront to our integrity. Better to give in to 10 thieves than to lose one legitimate customer. Problems are going to occur – products will break, deadlines will be missed, mistakes will be made. It is how well we anticipate and resolve our customers’ problems that influences their perception of our company and their decision to give us their future business. 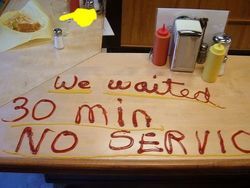 Never leave a customer with an unresolved problem; always initiate a solution. It’s as simple as this… no matter who is at fault, no matter what it costs, no matter what it takes – make it right for the customer. Almost everyone who works with others wants either to be a member of a high performing team, or to lead a high performing team. In fact, I bet 9 out of every 10 managers I’ve ever spoken with have claimed their teams were high performing. Yet, when asked about the performance of individual team members, these same managers invariably cite a litany of “typical” shortcomings. While I hesitate to question the self proclaimed assessment of another manager’s team without seeing them in action for myself, I have to wonder how they came to their conclusion. How can a high performing team be comprised of individuals with performance issues? Can the diversity of performance strengths and capabilities within a team actually make the overall team stronger, despite certain individual weaknesses? And how is it that these managers don’t ask themselves these same questions? To be sure, individuals with performance problems are not high performers. That is not to say that an employee must be perfect; indeed, everyone has strengths and weaknesses. There is a distinction, however, between weaknesses and performance problems. Strengths and weaknesses between team members are like pieces of a puzzle. All the pieces must fit together to complete the picture. In the strongest teams, members should complement each other’s strengths and weaknesses. In fact, assembling a team in which there is diversity of strengths should be a priority. There’s no single recipe for building a high performing team. The variables are simply too great. On the other hand, there are clearly common attributes that successful teams manifest, and at the same time behavioral patterns that destroy a team’s effectiveness and their capacity for achievement. They complement each other’s strengths and weaknesses. They exhibit integrity and self discipline, both individually and collectively. They have a balanced sense of selflessness (teamwork) and drive for personal achievement. They are responsible and accountable – to their leader and each other. They are enthusiastic and self-motivated. They are individually and collectively aligned with the company’s vision. Of course there are many other skills and traits that high performing teams must possess and demonstrate – effective communication, mutual trust, respect, etc., and of course they must work harmoniously together to achieve the task at hand. Skills, however, can be taught, habits formed, and behaviors modified, while character and cultural fit are individual factors that are deeply ingrained. Diversity, complementing strengths and skills, and achievement oriented members are all considerations when building or adding to an existing high performing team. From a practical standpoint, assembling a high performance team begins with a thoughtful and well developed hiring process. Recruiting often focuses on matching experience to a job specification. This is important where technical qualifications are concerned, but it will not necessarily identify people with high performance traits. High performers are almost always high performers – wherever they work. Who are your high performers? According to a McKinsey & Company report on “The War for Talent,” top performing employees make a 50% to 100% greater contribution to organizations than do their less capable peers. So ask yourself this, if you had to start from scratch, would you re-hire all the employees you currently have? If not, why? If you could select from just 10% of your existing work force, who would you choose and why? That’s an extreme (albeit accurate) example, but practically speaking, everyone including the most effective managers has areas of weakness. While we certainly don’t want to compound weaknesses, the inverse is also true. To use the puzzle metaphor again, whitewashing over weaknesses by cloning strengths is like trying to put together a puzzle in which all the pieces are the same size and shape. The strongest teams are comprised of diverse personalities with complementary skills, and they use this to their advantage. Reduce the risk of poorly influenced hiring decisions by having several managers interview a candidate and collectively participate in the decision process. There’s a saying, “If you don’t know where you’re going, any road will get you there.” A comprehensive plan helps hiring managers at each decision point by giving focus and structure to the process. With the following four-step plan, not only will you have the highest probability of making good hiring decisions, you’ll also establish a framework of success for ongoing team development. Leading a high performance sales team naturally begins with the people that you hire. You simply cannot afford to settle for the best “available” applicant, you have to find the right person for the job and team. In building a high performing team, whether staff or management, qualification criteria should be closely examined before you ever run an employment ad or interview an applicant. Managers tend to focus heavily on education, job experience, and presence. These are all important, but also look closely at temperament, interpersonal skills, and character. Hire for fit within the team. You can always train for skill (you will probably have to anyway), but trying to train for cultural fit is an uphill battle. Regardless of individual successes, a sales team is only as strong as its weakest performer. A successful high performing team depends on each member pulling his or her weight, contributing to and complementing the team, leveraging its strengths and adding value through individual performance. Cultivating team success involves addressing deficiencies, identifying and overcoming obstacles, and gradually redefining the very meaning of success in an existing sales environment. This may involve rooting out underperformers, holding them to a higher level of accountability, and removing them if they are unable to meet established standards. Aggressive and inclusive performance development is a key component to managing and leading high performing teams. An integral part of the performance management process, regular coaching, feedback, and performance assessment measured against peer comparison benchmarks provide exceptionally flexible and meaningful tools for quantifying and qualifying employee performance. In situations where progressive discipline is warranted, a consistent approach using readily available performance criteria ensures a fair and actionable case for warnings and dismissal. I previously discussed in detail creating and nurturing a Culture of Alignment. Developing a high performing sales culture requires a considerable investment in time, but it’s not rocket science. You have to realize, however, that any such move to alter the culture of your store and team must be carefully planned and executed. It will not happen overnight. In fact, it might take a few years. But the investment is well worth the effort. In his book, Travels with Charley: In Search of America, John Steinbeck wrote that “we don’t take trips, trips take us.” This reflects his assertion that despite all the planning, scheduling, maps, and good intentions, our travel experience is determined not by any initiative on our part, but by the unexpected twists and turns that lighten or darken our journey. It is the aspects of our adventure that we cannot control, and perhaps shouldn’t even if we could, that provide the greatest value and most meaningful experience. I must confess that I am not a good traveler, even when traveling for pleasure. Traveling, or more specifically, the responsibility for the logistics of traveling combined with the stress of being away from home and my comfort zone causes a degree of anxiety sufficient to diminish at least some of my enjoyment of the experience. This, I readily acknowledge, is illogical if not downright irrational. My wife tells me I need to relax, as if it were only that easy. I love the idea of traveling, of exploring new and interesting places. But truth be told, when it comes down to the reality of it – of making reservations, packing and getting on a plane or train, I’d really just as soon stay home, or at least close to home. I believe with all certainty that we create our own personal reality, weaving the fabric of conscious and unconscious disposition into a cloth uniquely our own. And not to mix metaphors, but if the nature of our personal reality is rooted in preference and intent, it is most certainly shaped by the shifting winds of experience and nurtured by environmental influence and personal interaction. Personally, I find memories more enjoyable than the actual experience. The passage of time tends to have a leveling effect on memory, filtering out the bad, the stressful, even fear and pain. Reality of the moment is fleeting while our memories remain, shaped by time and our tendency to reconcile the past to our own liking. Thus is the nature of personal reality, and the reason why the same event recollected by a dozen different people can vary so greatly. What does any of this have to do with leadership? Only that when working with employees, staff, clients, friends, strangers, or even family members, it’s advantageous to remember that everyone has a different perception. And more important, understand that each individual’s perception becomes his or her reality. Leaders are tasked by necessity to navigate through the gamut of diverging realities, responding to often conflicting needs and expectations while maintaining a firm grasp on the helm. They must often filter the emotion of the moment to influence the course of the future. Ultimately, the solution is always more memorable than the problem.